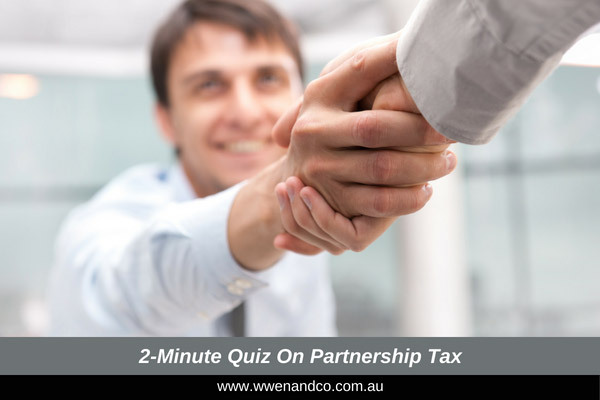 Taxation on partnerships – how well do you understand it? Question 1 – Which of the following is the definition of a tax law partnership? Question 1: The correct answer is #4. Question 2: The correct answer is #2. Salaries paid to partners are treated as a distribution of partnership profits and not deductible to the partnership in the calculation of its net income. TIP: The joint ownership of an investment property by individuals (for example, spouses) is taken to be a tax law partnership. As an administrative concession, the ATO does not require such partnerships to lodge a partnership tax return. Rather, each owner’s share of the net income from the property is only required to be included in each individual’s respective tax return. If you have any queries about your partnership tax, please contact the accountants at our Epping office.